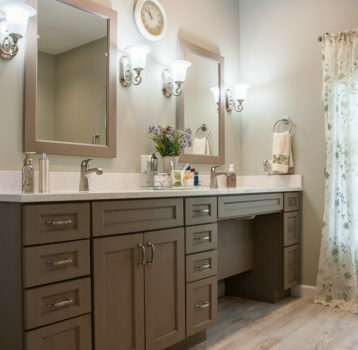 Prairie beige luxury vinyl tile, Chesapeake Soft Cream painted vanity cabinet with Walnut Glaze, shower panels and shower base from The Onyx Collection, teak fold down seat and Delta plumbing fixtures with diverter and hand-held for seated bathing. For this homeowner, much of her transportation about her home is by means of a motorized chair. Other modifications had been made in the home but the bathroom remodel remained on her check list. 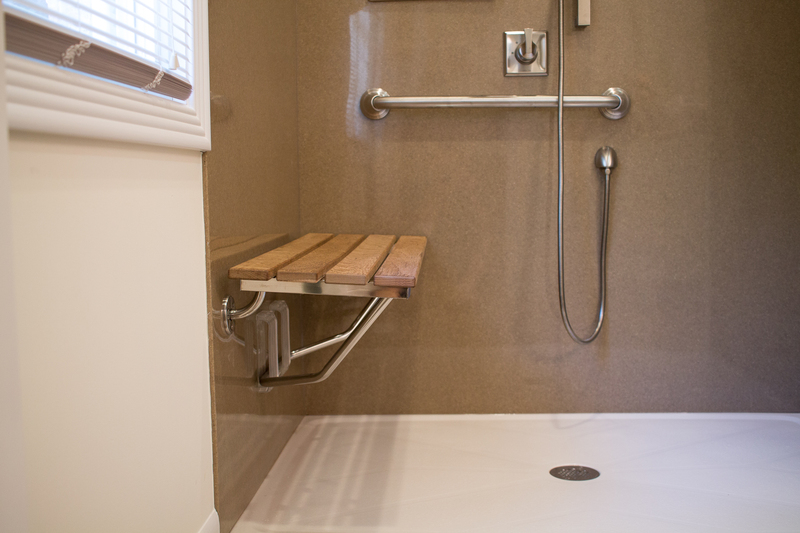 The only bathroom was small and narrow leaving very few good options to make necessary changes for handicap needs. 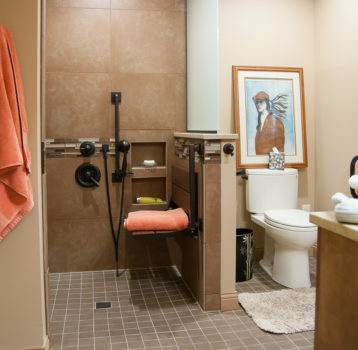 A room addition to the home to create a bathroom made to fit her exact needs was the most logical option. The new bathroom is attached to a bedroom at the back of the home (now a true master bedroom & suite).